Doug Bentz- aka Swami Doug is a Professor in the Dance Department in the Conservatory of Performing Arts at Point Park University in Pittsburgh, PA, where he has been training dancers professionally for over 40 years. Swami Doug earned a BA in Dance from Butler University in Indianapolis, IN. He began his professional dance career in 1968 and has been dancing, and evolving, ever since; he has danced professionally in New York City and throughout the United States and Europe. In addition to dance, he has studied yoga at the Kripalu Yoga Center and has completed a Pilates Teacher Training Program at Harmony Pilates Studio in Pittsburgh, PA with a certificate in Pilates Mat and Reformer. He is currently pursuing additional Pilates Teacher Training at Harmony Pilates Studio with the goal of completing the Comprehensive Pilates Teacher Certification from the Pilates Method Alliance (PMA) in 2017. Swami Doug offers “custom-made” private sessions for dancers and non-dancers, drawing from Pilates, Yoga, and deep breathing/relaxation techniques to provide healing body-work. He sees private clients at Moxie Mind & Body Pilates Studio in Market Square in downtown Pittsburgh, PA.
Allie Green is the co-owner of Equilibrium Pilates. In addition to Stott Pilates and Booty Barre, Allie’s other certifications include the PMA (Pilates Method Alliance), AFAA (The Aerobics and Fitness Association of America), and The Pink Ribbon Program, which is a Pilates based program designed to help women regain full range of motion to those areas affected after breast cancer surgery. She has also completed the Pilates for MS and other Neurological Injuries course. She attended IDEA World Fitness conference in 2014 and took workshops and classes with Stott Pilates, the Gray Institute and Polestar Pilates. Allie has a BA in sociology and performing arts from La Roche University. She danced in Pittsburgh with Laboratory Dance Company and Gia T. Presents. She was also an outreach artist with the Dance Alloy and Pittsburgh public schools. Prior to making Pilates her full time profession she worked as a therapist with children with special needs and at risk youth. She was also a senior therapist at Western Psychiatric Institute and Clinic’s discrete trial program for children with autism. During this time she and co-worker Amanda Doyle Stewart created CLIMB (creative learning in moving bodies), a movement based class for children with special needs, their family members and friends. You’ve probably had a massage before, but have you heard of Rolfing? If you are active, stressed (and who isn’t), or just want to learn about a bodywork technique that may help you move better then check out our interview with Brian Joly, a Rolfer located in the Highland Park neighborhood of Pittsburgh. You can subscribe directly to our website to be notified when each new episode is available. You can also find FitLabPGH on Google Play and Stitcher. That’s in addition to iTunes– four ways to follow us and learn about interesting people companies and activities that make moving a priority in the Pittsburgh area. Go to the “Subscribe to Podcast” page of our website, or scroll down and look to the left for subscriber information. Mark Freeman, CEO, Freeman Technique has 20 years of acrobatic experience stemming from Elite International Gymnastics and Cirque du Soleil, Freeman Technique tackles the fundamental elements that develop proficient movement technique by providing the perfect blend of discipline and performing qualities. Freeman Technique instills basic strength, flexibility and spatial awareness in all of its athletes, promoting safer, more efficient and aesthetically pleasing movement, which, in turn, will maximize confidence and the potential of individuals. 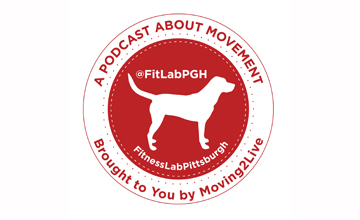 We are now searchable on iTunes- “FitLabPGH”. You can also subscribe in a variety of other ways via the links at the bottom of the left hand side of all our website pages, or click go to Subscribe to Podcast. We release a new episode every Sunday night,at 7pm, Pittsburgh, PA time. Check us out Sunday evening shortly after 7pm Pittsburgh time for our next podcast- an interview with Mark Freeman of the Freeman Technique. He has an interesting story, and like all people who love movement he clearly practices what he preaches! !